The objective of the Men's Ministry is to provide spiritual avenues for men to develop and strengthen their relationship with God. In addition, establish an environment in which men can grow, mature, and fellowship together through biblical discussions. 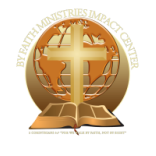 ​We see BFMIC Men of Impact an effective Men's ministry that will impact our city, our nation, and our world with biblical faith principles. When the men of God come together, anything is possible. ​They are Built 4 This!